Matt Gatland tells us about his experience at the Stugan games accelerator. A release day for any video game is the culmination of countless hours of work, sacrifice, and passion. There are usually long hours, late nights, and high-stress situations to navigate, and tales of failing health and fracturing relationships are commonplace as crunch sets in and deadlines loom. 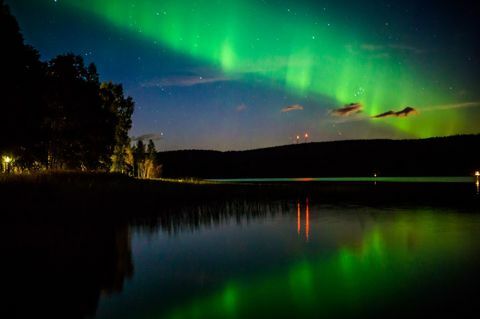 You certainly wouldn't expect the Swedish wilderness to be the backdrop for a game's creation, or for developers situated there to be enjoying catered meals and leisure time activities like canoeing, archery, and the exploration of ancient mines. However, for Auckland-based developer Matt Gatland, that's exactly what his experience was like for seven weeks during the development of his latest game, Caves. Matt has just returned after being selected for the Swedish games accelerator programme, Stugan. 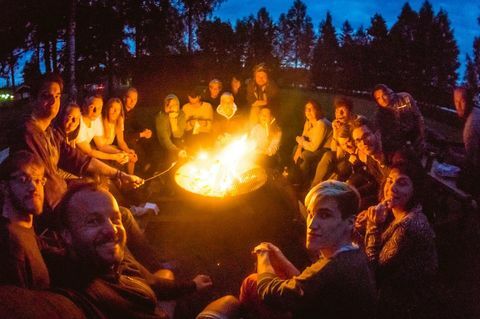 The first Kiwi ever to attend, Matt joined 20 other developers from around the world to spend two months in a cabin in the middle of the woods. There, he received mentoring from industry leaders, networked with international developers, and further developed his upcoming title. Stugan, funnily enough, is simply the Swedish word for cabin. Beyond that, the programme draws its title from the first Swedish commercial computer game made in 1978. In the world of video games, Sweden is home to some of the industry's powerhouse developers, including DICE (Battlefield and Star Wars: Battlefront), Avalanche Studios (Just Cause), MachineGames (Wolfenstein), Mojang (Minecraft), Paradox (Europa Universalis), and more. 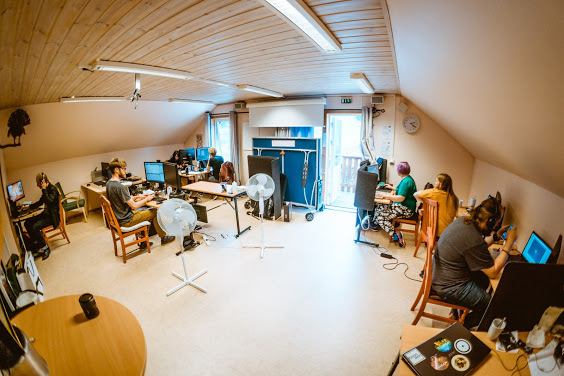 This rich local community makes for the perfect pool of talent to draw from when it comes to mentoring up-and-coming devs – which is what Stugan is all about. 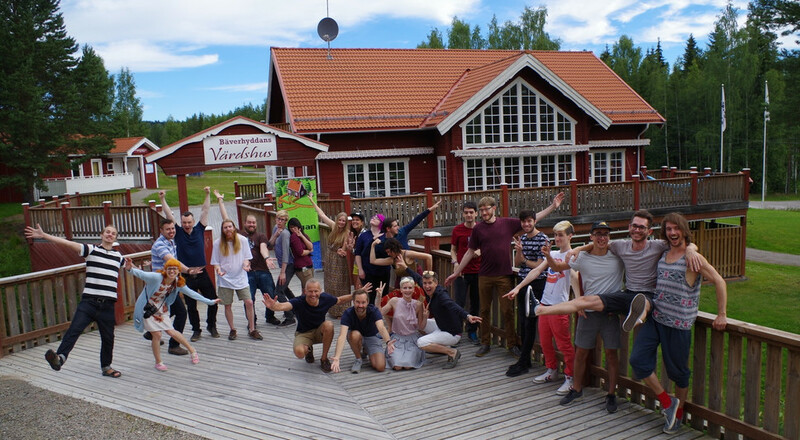 Stugan was founded by Oskar Burman (former general manager of Rovio Stockholm) and Tommy Palm (CEO and cofounder of Resolution Games), who both have a long history in the industry, but who are most known for their work on titles like Angry Birds 2 and Candy Crush Saga, respectively. The programme offers an all-expenses paid environment for game creators to be just that: creative. The only expense attendees had to shell out for was travel to Sweden... not a bad deal, really. Beyond the role of game developer, Matt has a hand in both Girl Code and Pop Up Arcade organisations, which help promote coding and game development in schools and in the local industry. After releasing dozens of tiny games, Matt set his sights on developing a full title to be released on Steam. The idea was for an exploration title along the lines of Terraria, but with a unique aesthetic based on triangle geometry that made for more dynamic exploration. "I wanted the triangle structure so it's not a grid, it's obvious that this is a natural formation, and when you destroy it you can't put it back," says Matt. "A lot of these exploration games put you in an empty world where you can come and take what you want and there's no consequence. In Caves, this is a world that people have been fighting over for a long time and there's a lot of other people here, it's not just yours to take. If you change something, it's changed forever." Things started off strong, with Matt working on the project full-time for two months. But at the end of his second month, he was growing fatigued with the project and wanted to take a break. He wasn't prepared to abandon the project completely, so after taking some time out, Matt returned to Caves part time. Focusing on a longer and more casual development process, he aimed to make one commit (code change) per day. Matt had previously applied for the 2015 programme at Stugan, but due to an overwhelming number of applications he wasn't accepted. However, the organisers asked him to apply again the following year. He did just that and had been working on Caves for a year when he was accepted into the 2016 Stugan programme. Setting off for Sweden at the beginning of July, he landed in Stockholm and met up with the rest of those attending the programme. During a three hour bus ride, he got to know his fellow 'Stuganeers', who hailed from places like Canada, Brazil, France, Serbia, and beyond. The two months at Stugan allowed for a casual but scheduled process, with meals at set times, but developers were allowed to work at their own pace and in their own hours. "You work until lunch and then you work until dinner, and it's very hard to work after dinner because people are always keen to socialise and hang out," says Matt. 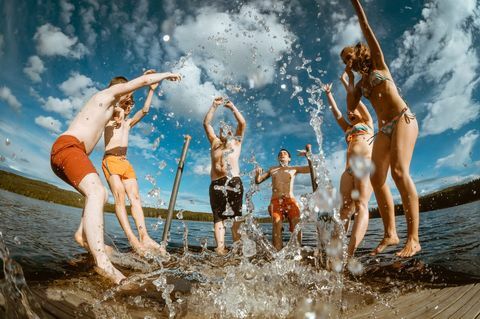 "Someone might be organising board games, or drinks in their cabin, so there's a lot of pressure to not crunch – if you do you're going to be missing out on some really fun stuff." It's like you're on holiday, but you're at work at the same time. Other social events included viewing parties for the Netflix series Stranger Things, as well as an obligatory session of Cabin in the Woods. "It's like you're on holiday, but you're at work at the same time," says Matt, "but they both fit because you've squeezed out that other third of your life where you're driving, or cooking, or taking care of other things." Throughout his two months at Stugan, Matt had one-on-one time with a number of mentors, each speaking to their own area of expertise. Many of those that sponsor the programme also came through to offer advice and feedback to developers. Stugan alumni Clint Siu talked about how he successfully launched his mobile game _PRISM, and offered methods for getting a game accepted on a platform like iOS. The revolving door of fresh eyes was a great source of new players for Matt, who garnered a number of first impressions during his time at Stugan. "I made a lot of changes to the new player experience and the tutorial," he notes. With such a large and diverse number of mentors coming through, there was feedback from a multitude of voices for each developer to take in. For Matt, the mentor that really spoke to him was Jens Andersson (former LucasArts lead designer). "I'm a programmer, and my game looks really bad," says Matt. "A lot of people have given me that feedback, but Jens [Andersen] was really good because he gave me art advice in a way I could understand. "He gave me specific notes, like the fact that my player's ship doesn't look alive. It sounds really basic, but I think five different people told me the same thing. But that was the first time I really understood what I needed to do." Of course, living in a community of developers for two months means that advice isn't just available from those mentoring. 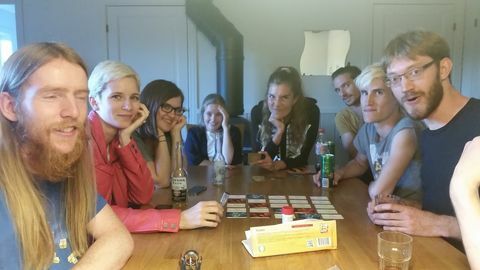 "The best thing about Stugan is that I was surrounded by other game developers," Matt adds. "So if you're ever feeling frustrated with something, you can just turn around and talk to somebody. After the first week, you knew who the expert programmers were and who the expert artists were, and you could just walk around and ask people." The resulting feedback Matt received from his peers helped him shape elements like character art and their mechanics within the game. At the end of Stugan, Caves was still in development. Matt intended to put it on Greenlight while he was there, but he's decided to push the schedule further out in order to put more work in before its release. He's now looking to add in a main quest line to help give players direction as they explore, and he's also keen to flesh out the game's worlds with more content. There's another year of development expected, but Matt's feeling confident about the title he's got: "When I went over there I wasn't really sure about my game, but based off the feedback and the fact that I was chosen for Stugan has given me the confidence and the affirmation that this is a game worth making." And with the network he's made of fellow developers and those that mentored him through his time in the programme, he's feeling more confident about getting Caves out into the world when it comes time to launch. While catching up with his fellow Stuganeers in person would certainly be an undertaking, Matt intends to keep in touch. 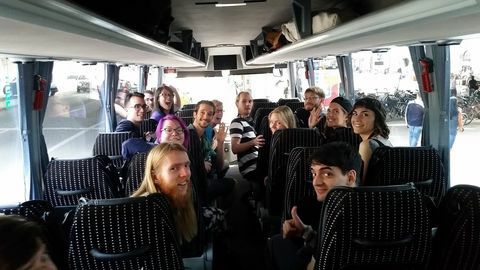 "Next time I go to GDC, I'll definitely be hanging out with some Stugan people, and if I go to any games event in Europe there's definitely going to be some people there that I know, which is amazing."